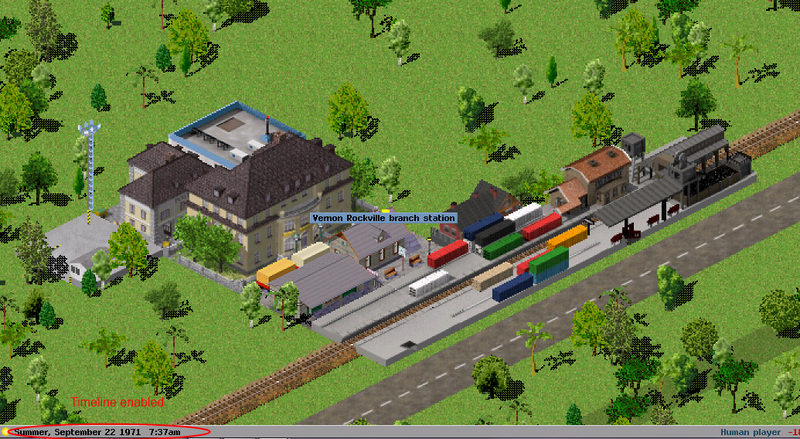 So I decided to recycle my development thread for the monorail cleanup so I can put all my works in a single place. This little update cleans up the Schwebebhan sprites a little. They have transparent spots in the source, alongside some excessive diagonal struts, which while realistic, cause unecessary clutter in the renderer when making downsampled images for zoomed out views. This edit seeks to remedy that issue by keeping only the orthogonal struts and fixing the transparent spots. Final version. As you see I didn't tackle the glitched depot yet because that's still somewhat beyond my skills (I have no idea how the front-back layers work or how to arrange the sprites in a sheet) but hopefully I'll get there someday. Almuthof_StationBlg.dat - Preserved for architectural style. If there's interest in making those changes official please do tell me what needs to be done to incorporate them into the official pak128 build. My building projects are currently on hold until i can figure out a better workflow. Very nice indeed. 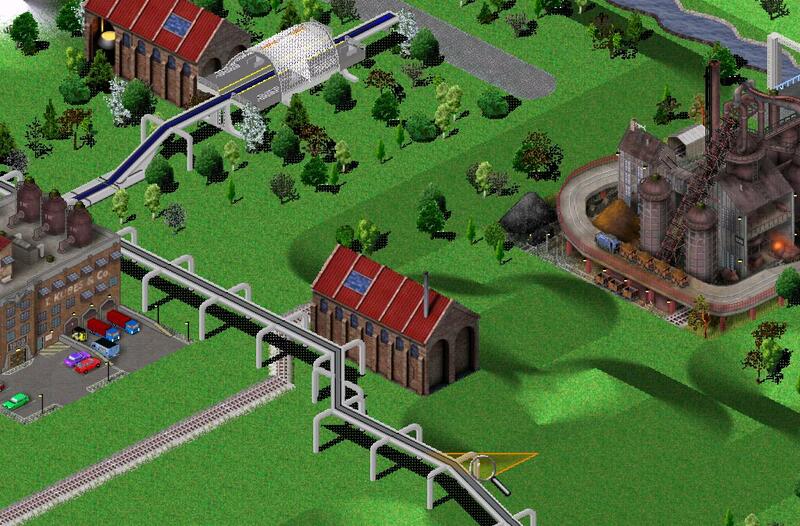 The problem is, in Simutrans scale, there won't be much left of all the amazing little details, I'm afraid. Really impressive. What software do you use, Djohaal? Really it's a nice start for pak512. The question is, I don't know in which axis to measure. It can also be downsampled to proper size, it might blur some details but smart filtering can fix it. Chopping it up for the game to read is the main mystery for me. Actually those little details do matter. At very small scale they get turned into very subtle noise, shades and patterns, which help to ease the look of the buildings and gives them a bigger sense of texture and shape. The final result while not as detailed still keeps a certain pleasantness to the eye which is different from flat-drawed objects. I used 3dsmax and vray for this one. Does the simutrans engine support that? All four views, this one is pretty much finished. Just gotta resize and dice, help would be appreciated. Btw, at first sight I would say it's a bit too tall, but I might be wrong (it's just a first sight impression). The result is all but self explanatory for me. I'm trying to use tilecutter atm, but not with much sucess. I would not use tilecutter until you have the right thing done. I think you should try to fit it into a 2x1 tile space, which looks to me the more convenient size for this building. 2x1 is near half size than now. 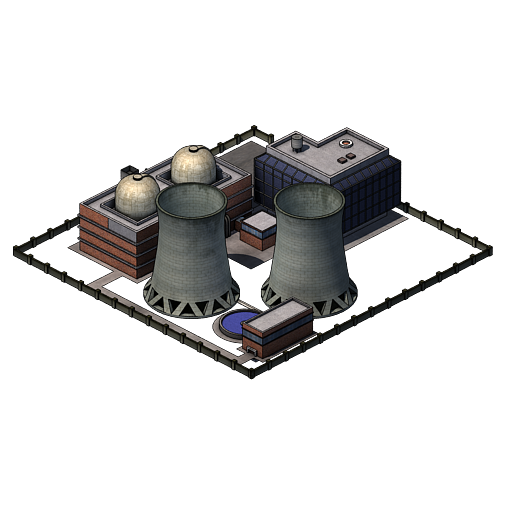 Also you can take a capture of another building inside the game then use gimp to put your building next to it and compare. That will help with sizing. I managed to get it on the proper size. How to dice it up on the tiles and assemble the source image/dat reference is still a mystery for me. I managed to get it in-game. And yes it is a bit oversized. Time to retrofit this into a 2x1. Retroffited, now with adorable red shingles roof. 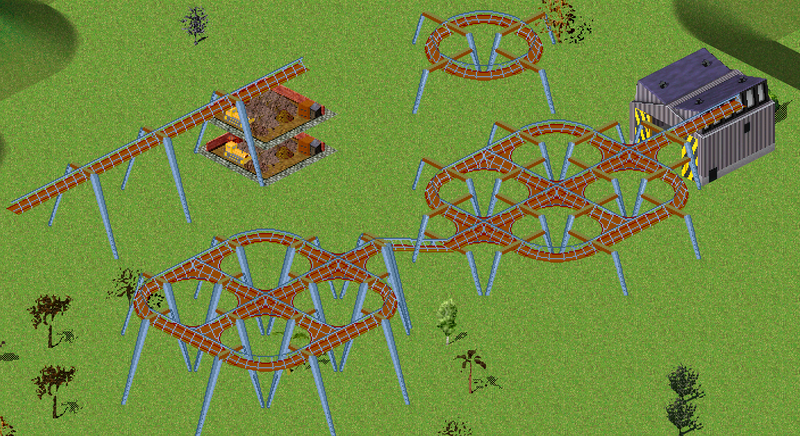 Final version, pending resizing, cutting and game implementation. update: It seems either tilecutter didn't like the building or I'm too dumb, because it's not cutting it properly at the moment. And nice to have attracted new painters, too!!! Hey Djohaal, that fits in size much better now! I'd second the redness feeling, and perhaps think about the roof window. Something tells me that it might not reflect so much sky blue...? The final rendition is jarring. Yes the redness needs a touch of desaturation and the window needs some touch-ups too, although I think I'll do away with it, I'm not happy with the result. However I'm a bit overtasked this week, but I'll resume work as soon as possible. 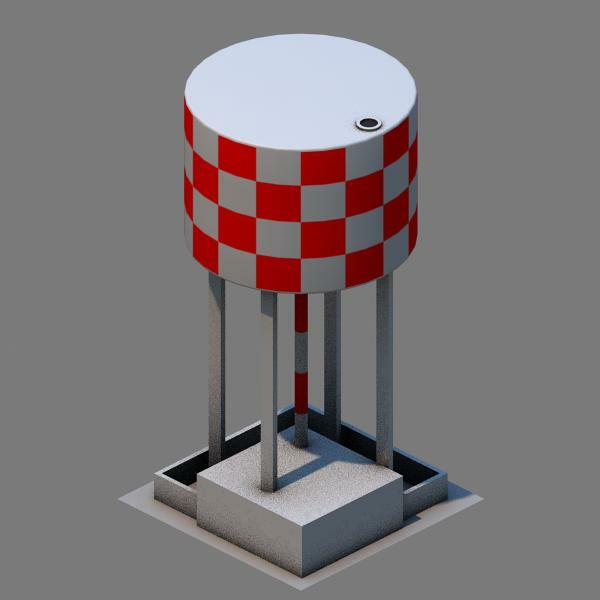 A quick job on the water tower, still gonna detail the building under it. This will be one of the water towers buildings for the water chain. I plan on making a brick reservoir and another modern tower, alongside with a bigger water supply for bigger cities. The water source building design still is pending. Looks promising Gonna be very big? Maybe 2x2?? Probably 1x1, low consumption like the gas stations. 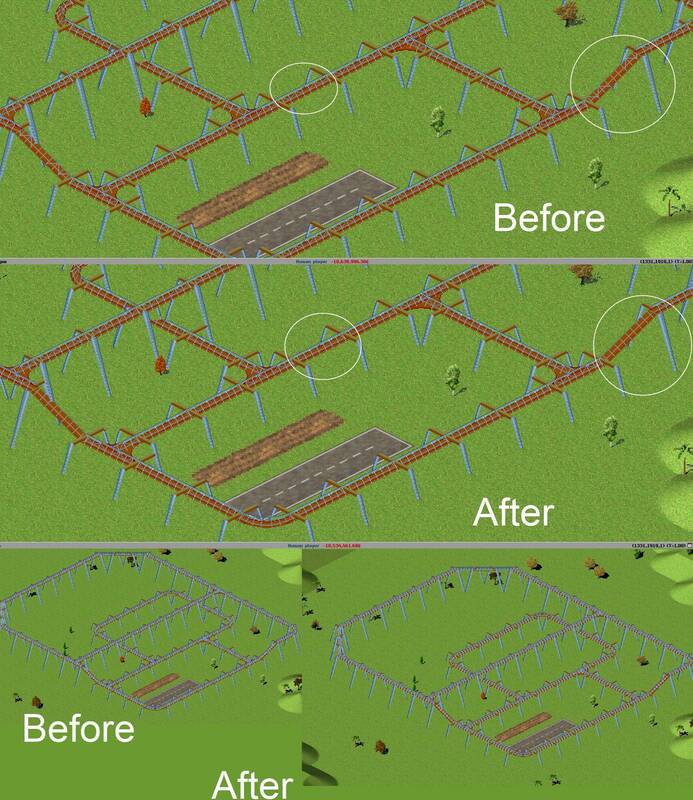 A 2x2 one with higher consumption will be made, and will probably require trains to supply it. 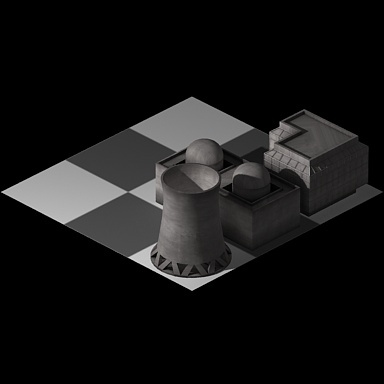 it whould be great to leave the blender source archive of these models and all future ones archived somewere for the time I have the time to come back to Simutrans3D and use those models. Bump for justice as I decided to center all my stuff on this thread. That it a very good idea Djohaal. Updated with the retirement fix for stations. I'd like to know what is the procedure for changes to commit to the official pak128 build. Also forgive my ignorance, but why hasn't the maglev pack from SNFOS been incorporated as part pak128? Buildings in last generation should not really retire. That's for the airports (fixed in svn). As to the other things, I am not sure if "never retire anything" is the way to go. The menus should not be full of stuff. Almuthof retires on purpose, for example, because... why build it all the time? Same for coal station. Adding a tipple as timeline successor would be way better than keeping some item alive just because one might want to build it later. I really like the maglevs, but I can understand where you want to get. For the container stations, if you want to play purely by the numbers it is pointless, but I like to use both of them to give my stations some variety on their looks. Menu clutter could be avoided if we could have the game randomly pick the variants of a same station block for different tiles, for instance. So.. the dead still live! I present the great bronze teapot. This monumental monument ( ) is a tribute to all the brave explorers of the 3d-to-pixelart workflow. I've managed to adapt Sarlock's guide to 3dsmax which improved my workflow by a 100%. 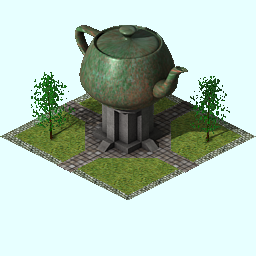 This teapot monument is a 2x2 monstrosity which I made to test out some different approaches to rendering trees and specially the 3d-shadow-to-sprite and edge darkening reduction workflow. You can see it worked superbly well, I'll share the secret once I sort some mysterious weirdness that happened with this thing (also after I finish the other views. I accidentally saved the merged layers PSD and lost all my work on this). It also has a silvery line of misalignment which needs solving too. I wonder if I could add a smoke sprite coming out of the spout. Well done! Your render came out very nicely. The trees look nice... it's hard to do a rendered tree without an alpha channel. Another idea I'm tossing around. I think it's past time pak128 reached the atomic age! 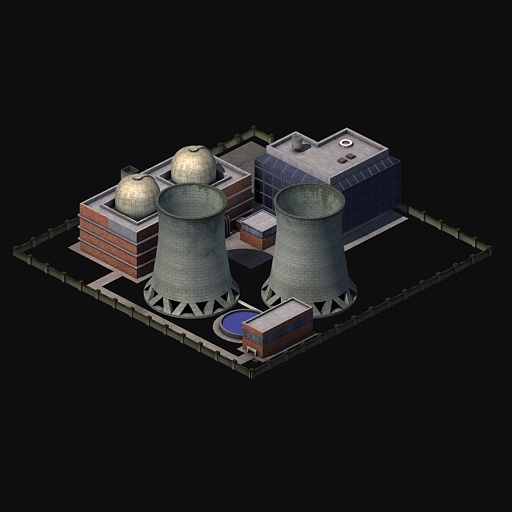 Nuke plant -> Nuclear waste disposal. -> Again nuclear load, can't be hauled in conventional stuff. 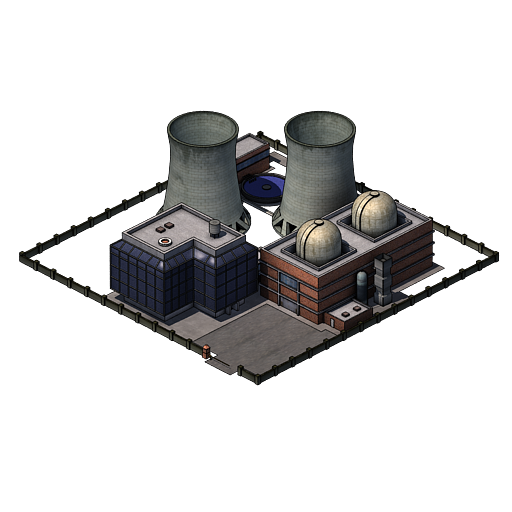 Also this would be a very low-troughtput system as nuclear plants need to refill their fuel every 5 or 10 years in real life. Goods would be sent on small scale. Can we render custom smoke sprites? 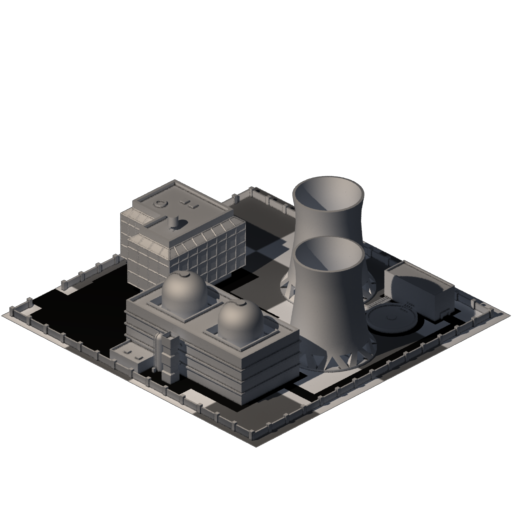 We might need a better/bigger sprite for the cooling towers. 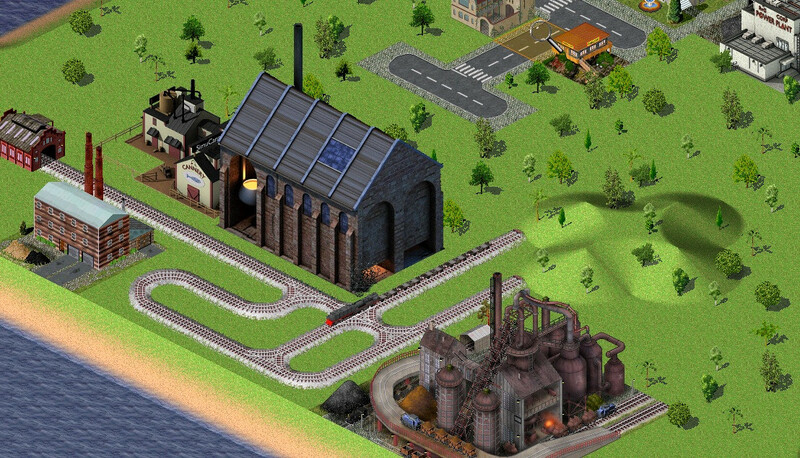 Simutrans power plants cannot produce any waste or other byproducts. Only electricity and smoke... I tried to code such thing and it produced waste but no electricity. Two more renders. Switched it to 4x4. The overall modelling is done, now I just gotta add the details. So power plants can't produce waste, what a pity. Maybe uranium ore + chemicals -> fuel rods -> nuclear plant. Would be a good use for the extra chemicals I always have lying around. Also can we make "inverse" production chains? A single resource producer for several (small) consumers? I was thinking about adding grocery stores or something of the kind. First time I see this thread ... all your work is really amazing ! Ptchoo! Still not too happy with the aslphalt texture at the parking. Might just make a mask and blend with pixel art asphalt. The area without floor will be transparent to blend with the terrain. 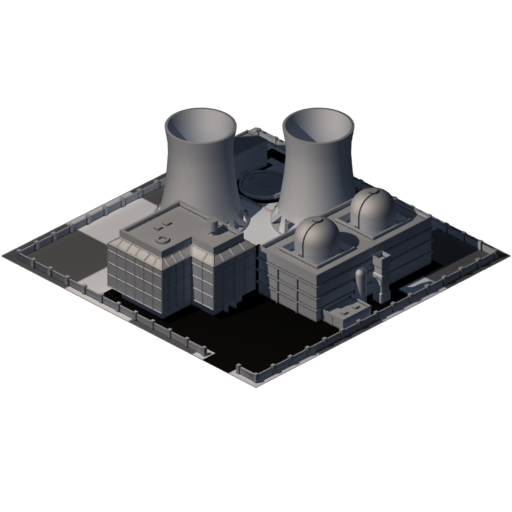 I also adjusted the texture of the cooling towers in the second render. Really nice texturing, well done! 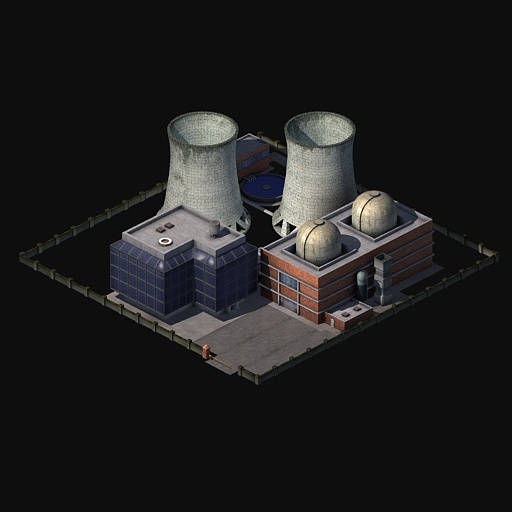 Nitpicking... the shadows on the two cooling towers is not consistent. I assume this is due to the angle of the sun lamp - perhaps the sun is too close. Sun in pak128 is 60 degrees, due south. EDIT: GAH forum mauled my post. Here we go again. Sarlock: Well spotted! I fixed the sun's distance already. I've been trying out adding a outline effect to make the render a little more similar to pak128's hand-painted assets. Second version is better, because first one seems to be for comic paks !